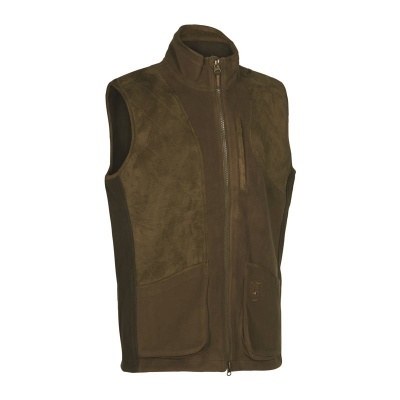 Gamekeeper waistcoat. Made from stretch material to ensure it sits well when shooting. Shoulder protection and water-resistant. Deerhunter Stormliner® Membrane, two large front pockets and a game pocket.